Pricebusters Saving Your Hard Earned Money: Deals, Deals and More Deals! Finally found the free Vileda Kitchen scrunge! At Walmart! Seems most stores have pulled them off completely?! The Crest Mouthwash was $1 and there are $1 off coupons. I saw them at Superstore today. 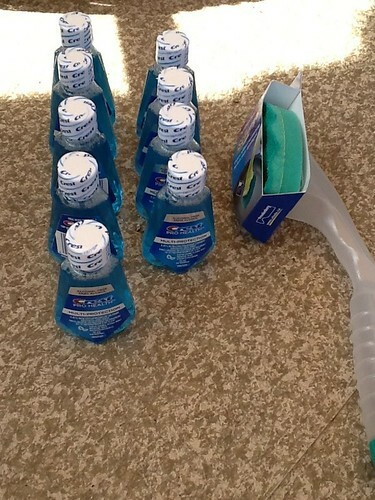 (Since writing this I have seen them at IGA and Rexall, the coupons, that is) So, 9, 36 ml bottles = tax only or $1.08 for a total of 3.24 L of mouthwash! 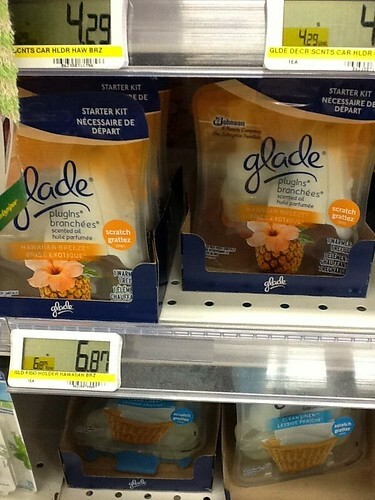 Jackpot in the clearance at Superstore! The Sunlight dishwasher tabs were $4.82 and I had a $2 off coupon, plus I am doing the MIR from Shoppers Voice for it. So, I was paid $2.61 to buy it! 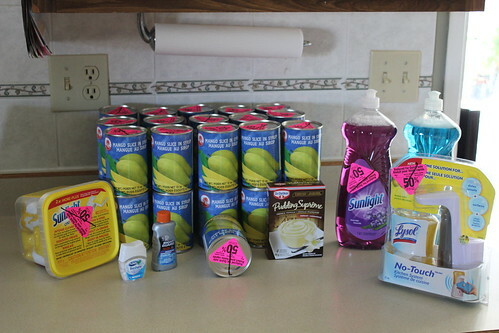 The Lysol No Touch was $4.97 and I had a $5 off coupon, so .57! The sliced mangoes were .25 a can!!!! The tums and the right guard are explained below. 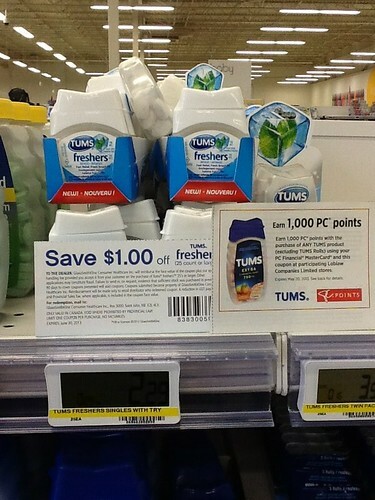 So, grand total after MIR and tums points is $9.15!!! This was my Safweway shop. New at Safeway site has .50 off on the puddings. They are on for .99 this week. So, .49 per box. 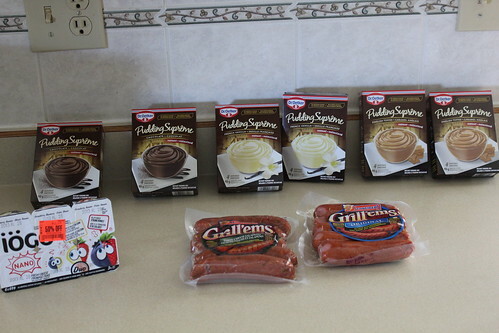 The Grillems were a buy one get one coupon, they were on for $5 and 10 Airmiles when you buy 2. The IOGO yogurt worked out to .99 after coupon. 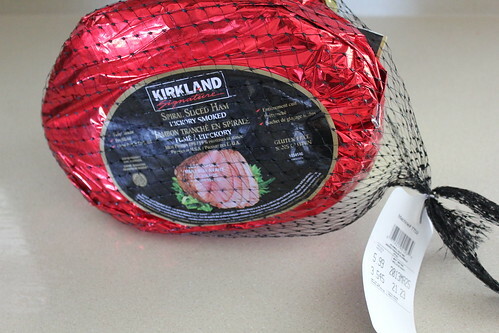 Our Costco has Spiral Hams for $6 off. This was the smallest one I could find. $21.23-$6=$15.23 works out to $1.95/lb! Havarti is also on sale. 454g, for $4.49! This is the XSCargo flyer. It has Barilla pasta on for .88. Here's an coupon from an insert for .75. .13 for pasta is an awesome deal! I hoped to price match at Walmart or Superstore, but couldn't find any whole wheat Barilla. 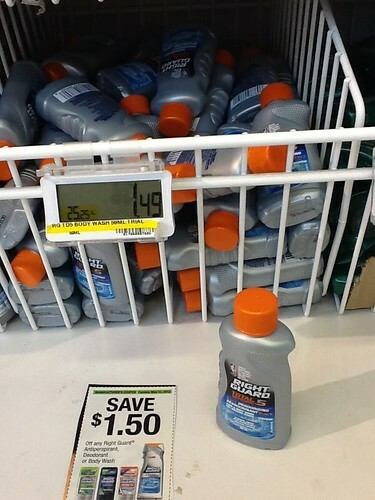 The recent insert had this coupon for $1.50 off any right guard body wash or deodrant. Our Superstore had them for $1.49. Since posting this I saw these for .99 at London Drugs. Remember me talking about the Fresh Juice magazine coupons? 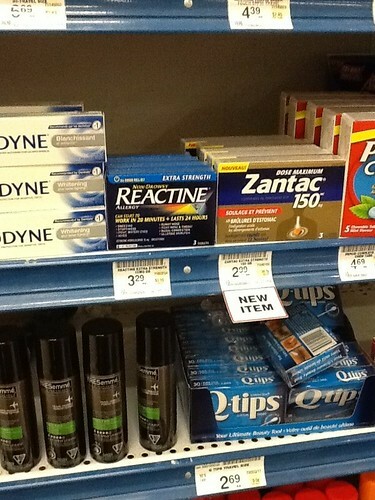 Well, the 25 of Tums are $2.29. There was a coupon from a mail out for $1 and you get $1 worth of points, so .29 for these Tums! 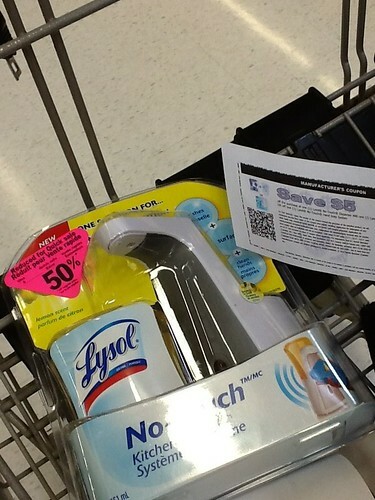 $5 off Internet Coupon used to get Lysol No Touch system at Superstore for .57.
or this one from the Reactine website. I found the 3's for $3.29 at Safeway. Combine these means you would make $1.48! 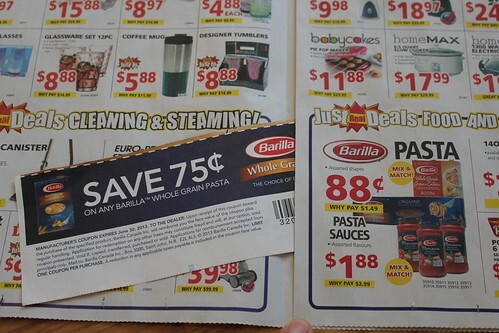 In the recent insert, there were $2 off coupons for dial. 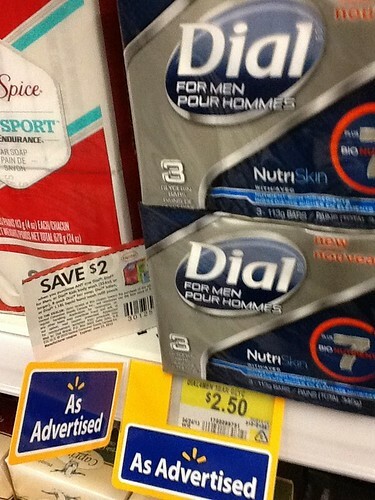 At Walmart Dial is $2.50!